Typically, winter is a season of muted tones – the sky is bleak and grey and maroon are referred to as pops of colour. 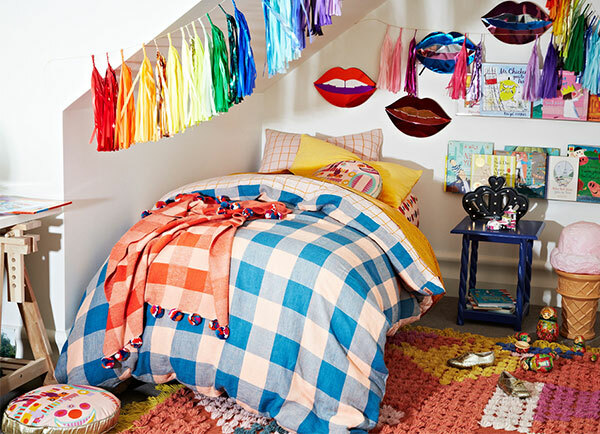 Not with Kip & Co – no siree, winter is a time to let your children’s bedrooms explode with sublime colour and prints. 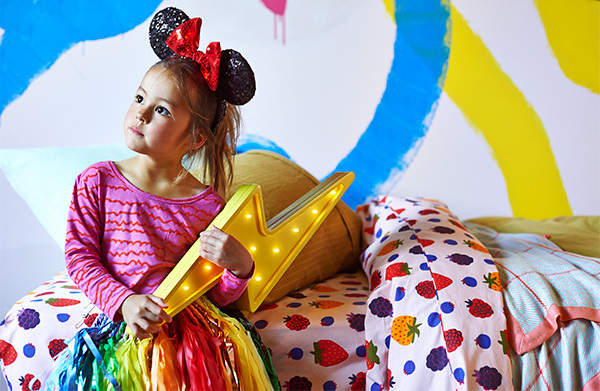 Click on through to see what’s new in kids’ linen from Kip & Co! I love the brash and bold design spirit of Kip & Co. 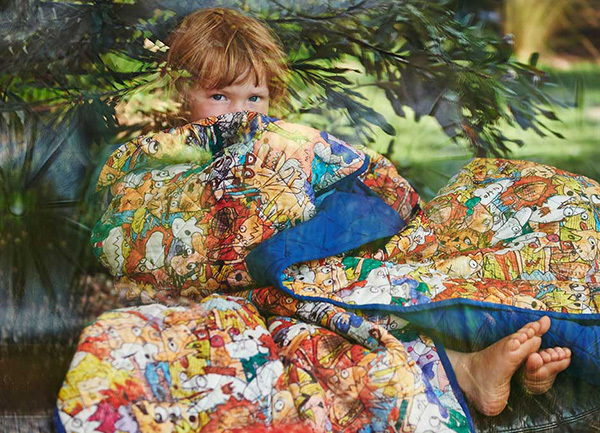 Caution is thrown to the wind with a mad eclectic mix of prints and colour in the just-launched Kip & Co autumn winter collection, aptly named Hibernate. Forgive me for overloading you on images, but I think you’ll agree, they speak for themselves on just how fun hibernating through the cooler months will be with a bedroom kitted out in Kip & Co. 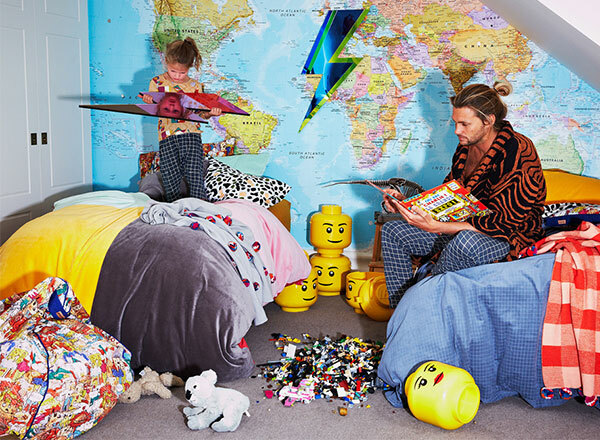 The Kip & Co Kids quilt cover collection includes three reversible (yes, bang for your buck!) 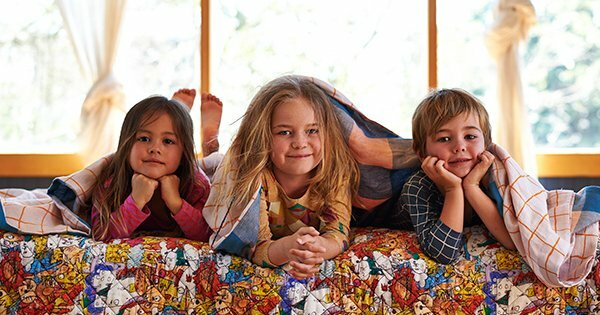 quilt covers in puddles/radiowave saffron prints, rainbows/very berry print (priced from $149) and the sweet tart linen/checkout linen option (priced from $229). Pillowcases (from $35) and sheets (both flat and fitted, priced from $69 each) are available in rainbows, very berry, puddles and radiowave saffron prints. While deciding which sheet to match with your quilt cover choice isn’t easy, we suggest you pick what the heart yearns for and just go with it. It works. Amazingly. Kip & Co aren’t ones to shy away from a touch of texture in the bedroom either, with sublime velvet quilt covers (from $189) and pillowcases ($45) available in yellow, spearmint, cherry, blush and teal. 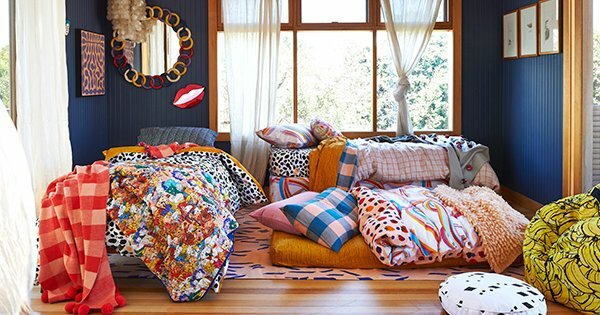 A quilted bedspread ($229) and coordinating pillow ($59) are a welcome addition to this spectacular showcase, destined to be a hit with the kids in an awesome sketch print which looks to be straight from a colouring book. The nursery doesn’t miss out on the Kip & Co wand either, magic erupts from the Kip & Co Tiny range with fitted cot sheets (from $49) available in all of the same prints as the kids range, along with an amazing bamboo Swanky Blanky baby blankets ($65). My favourite? Hands down it has to be the Pom Pom Blanket (I mean c’mon, pom poms people! ), a fun piece, it’s priced $129 and can be used all year ’round. If you’re stuck for a baby gift for a friend who has everything already covered, did you know Kip & Co do a stellar range of wraps? Available in packs of two prints, Kip & Co Nap Wraps are priced just $55 for the set and can be used as wraps, bassinet sheets or pram covers, plus they make a stunning baby gift! 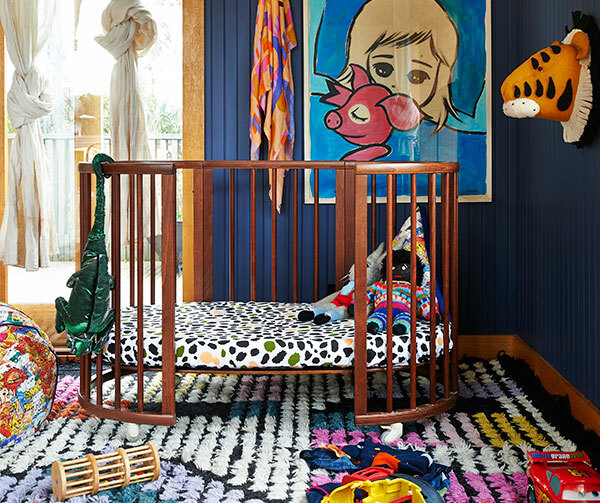 You can check out the whole collection at Kip & Co. And oh, if you adore the cot in the first photo we showed you, here’s where to find it!